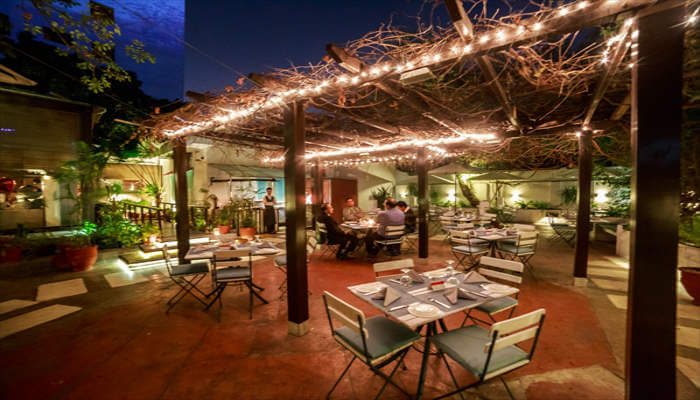 Fining the best place to dine out on a special day with your loved ones might sometimes become hard in a city full of restaurants and cafes, so we filtered out through first-hand experience, the top 10 best Restaurant Near me for dining in Lahore. It’s a Thai restaurant said to be owned by ‘Cafe Aylanto’ directors situated on main Hali Road, Gulberg. It’s quite spacious with a seating capacity of 400 plus, gives you a cozy home like feeling. The menu is not a huge one but easy to read and understandable one, so we asked for help from one of their managers about the menu, it took us a little time to finalize the order as the menu list has some really attractive dishes on it but we thought to experiment much and order risk free items. Yum Chinese and Thai. Established in 2010, YUM has since become Lahore's most celebrated/distinguished restaurant chain serving gourmet Chinese & Thai cuisine. Ideally located in the famous/buzzing eating districts of Gulberg & DHA. They have the best Soups in the Town and offer a great variety of freshly made soups in both Chinese and Thai. Focusing on Chinese and Thai cuisines, YUM offers a variety of conventional and contemporary dishes to satisfy both traditional and modern/refined food connoisseurs. Each dish on our menu is prepared to order using the freshest and highest quality ingredients. 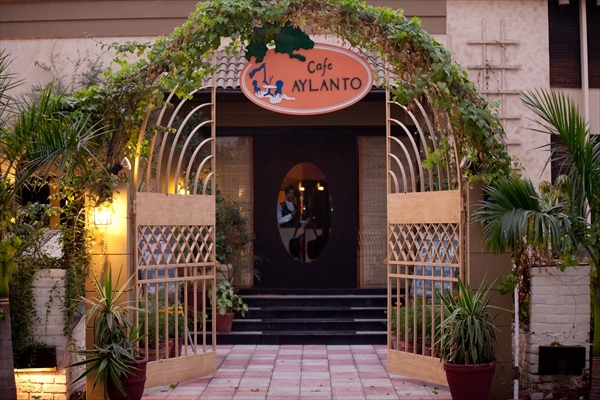 Situated in Lahore's popular upscale restaurant and shopping district, Café Aylanto has become a household name which represents high quality cuisine and refined sophistication. While the menu is mainly comprised of Mediterranean dishes, new items are frequently added to reflect various trends in international food. The restaurant is located on one of the busiest roads in Lahore, the M.M.Alaam Road. With a number of restaurants and cafes parallel or adjacent, the competition for every brand is maximized, especially if it is a new entry. The restaurant is well-lighted and the sitting arrangement is pretty decent as well. However, one thing which didn’t impress me much was how the sheets spread on the serving tables were untidy and full of wrinkles. When you are dining in a restaurant as famed as Tuscany Courtyard, you expect everything to be top-notch. On food, yes, there might be some dishes which are not suitable for our taste buds, but the ambiance? There mustn’t be any compromise. Spice Bazaar is not only great for private dining but events also. Whatever your event or celebration, they are here to make your special day a truly memorable one. There is a new hi-tea in town and its called Super Tea Buffet at Spice Bazaar. A delectable selection of your favorite tea and afternoon snacks in one place served with fresh juices and lassii. This is your mid afternoon snack and pre-dinner munchies' quencher, all in one. Fujiyama Japanese Restaurant of Lahore. Enjoy watching the talented chefs prepare your meal while seated at the Japanese style tepanyaki grills, each seating 10 diners, who can enjoy sizzling Japanese specialties from the restaurants master chefs. Fujiyama offers the largest selection of authentic Japanese food in the city, whether its Sushi, Sea Food, and many other authentic Japanese cuisines, you get it all at Fujiyama. With temperatures suddenly plummeting into single digits and the thick, heavy Lahore fog rolling in, enveloping and obscuring everything as if displacing time and space, I decided to revisit Polo Lounge, one of Lahore's fine dining restaurants, which also offers a one-of-a-kind experience of a city from a bygone era. An amazing addition to Lahore’s cuisine scene, and an eatery that will surely attract those who understand good food and enjoy the ambiance and the food in equal measure. Highly recommended. Even with a restaurant and cuisine you love, it is important to experiment and try new items being offered. 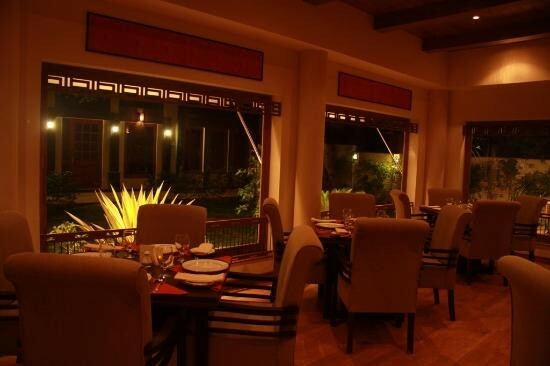 Dynasty at Avari Lahore has been one of the longest standing Chinese restaurants. With a set clientele and hotel guests, the restaurants long standing menu is widely popular. The place has one of the prettiest dining setups in Lahore. The theme is extravagantly classy and is achieved through expensive wood and glass work. And this is just the interior dining area. The actual ‘veranda’ is even prettier and has this amazing “fire and water” combination theme with wood tables that suit the outside environment, umbrellas and all. Yet we are not a fan of the food, yet you ight want to try out their thin crust pizzas and maybe some sheesha for they add real fruits.